Janz is the Chief Pawsitivity Officer at Golden Software, joining the company in 2017. Janz graduated puppy school in 2011, and now ranks his highest achievements as reaching the top of five 14ers, and tricking his human into giving him two dinners. His favorite aspects of working at Golden Software include the frequent scratches and hand-fed snacks. 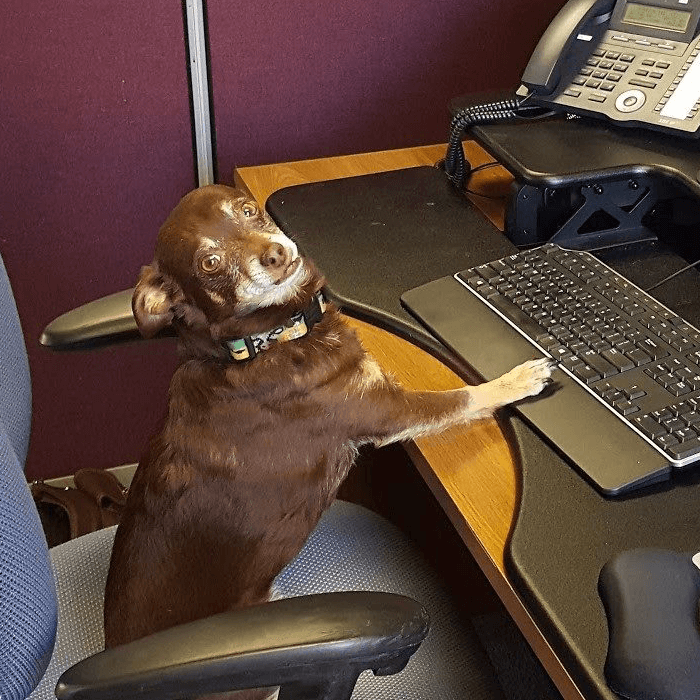 When not keeping the other staff entertained at the Golden office, Janz can be found indulging in his favorite hobbies of chasing squirrels, eating, lounging and cuddling. I have climbed 5 of the 56 highest peaks in Colorado. My human tells me I'm the fastest ball fetcher in the west!